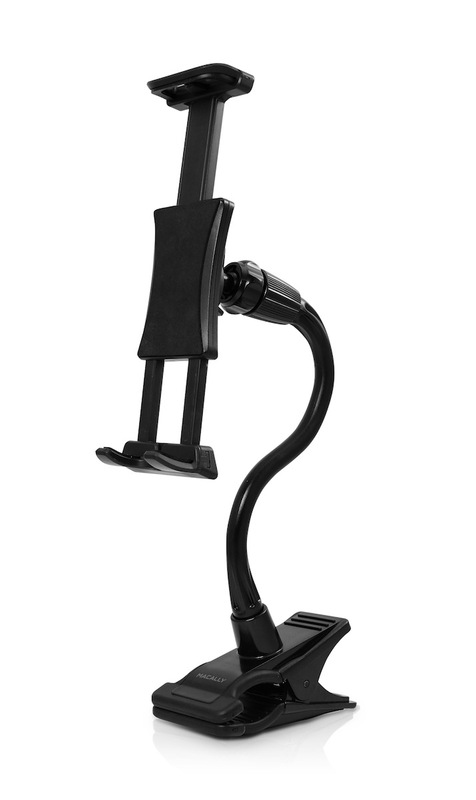 The Macally ClipMount is an iPad/tablet holder that you can easily and securely clip on to any table, desk or countertop with a thickness up to 45 mm (1.75”). 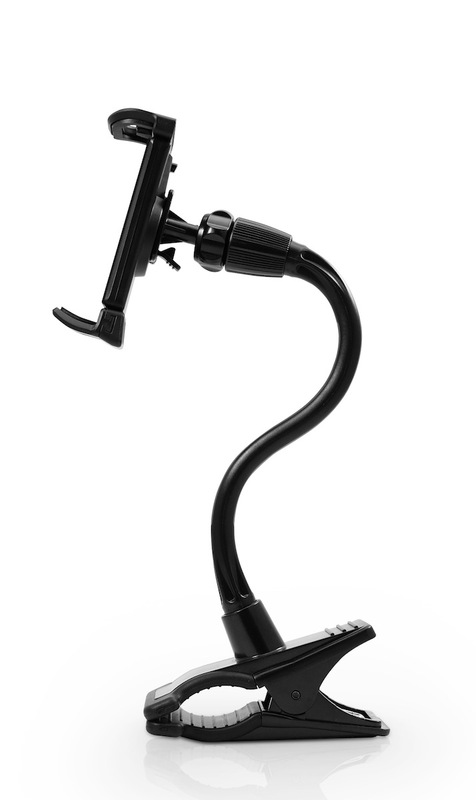 It has a long 279 mm (11”) sturdy arm that you can easily adjust in the desired position for optimal viewing. 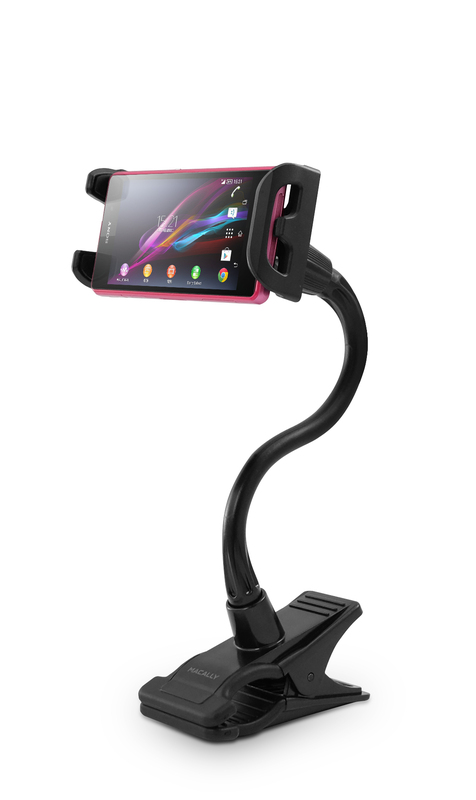 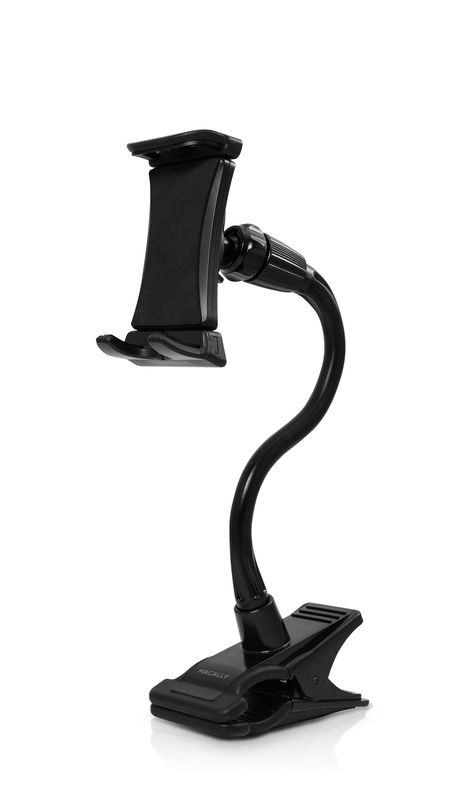 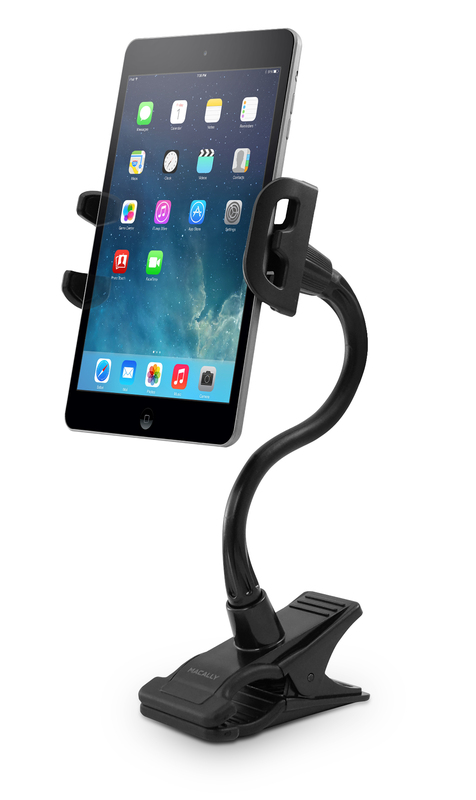 The ClipMount is designed for iPad/tablet, iPhone/smartphone and other mobile devices between 96 mm (3.5”) and 203 mm (8”) width, and ideal for home, school and office use.